The original 300 hit theaters in 2006 and featured a starstudded cast, including Gerard Butler as King Leonidas. I don't think I saw it in theaters (I was a college student without a car on campus at the time) but I remember seeing it on DVD. In 300: Rise of an Empire, Greece is at war against Persia, which is led by the fearless Artemisia (Eva Green), an evil, woman who wants nothing more than to crush Greece - ironic, actually, since she was born there. Themistokles (Sullivan Stapleton) now leads the Greek forces ever since Leonidas's death. He pleads with Leonidas's widow, Queen Gorgo (Lena Headey), to lend him her Spartan forces, but she refuses, so it's the good men of Athens versus the Persians. Artemisia brings Themistokles over to her boat for a little tete-a-tete, but the two end up hating each other more than ever ... and the war continues on, until a clear winner is established. The screening I went to of this film was in 3D, and although some parts were neat to see in 3D, overall there was way too much blood and gore flying everywhere. 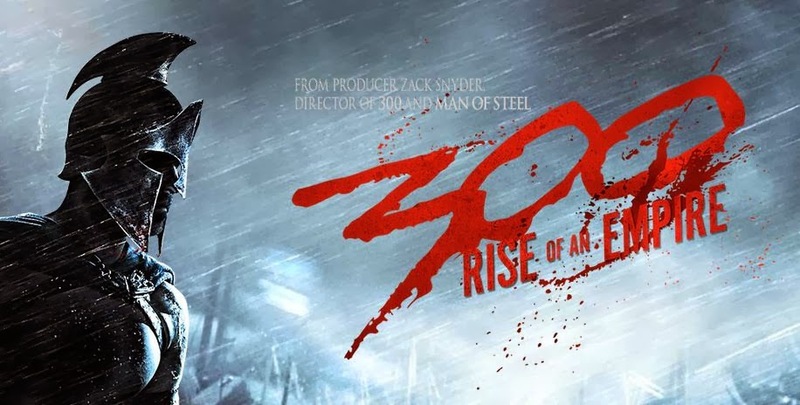 The first 300 was the same, I believe, but this version seemed even bloodier, if possible; it was almost like watching The Walking Dead in some scenes, except these were live humans and not zombies. Maybe see this movie. I will say that the film was interesting, but no backstory was given - it's a bit of a continuation from 300, so maybe that's why - and I would have liked to have been given more information. My favorite character was actually Artemisia just because she was such a jerk (and also because she had awesome outfits), and she and Themistokles had good chemistry together, especially in one certain memorable scene; Artemisia's tragic childhood story is given, and we learn why she's from Greece but hates it so much. I'd recommend this film to anyone looking for an action-packed "popcorn" flick, but don't expect anything more from it - if you're looking for a movie more rich in history, try the original 300 first. 300: Rise of an Empire is in theaters today, March 7th, and is rated R with a runtime of 102 minutes. 3 stars out of 5. I agree with you on the surplus of blood and gore. The slow motion sequences also emphasized the action of the battle. I'd say that males are more drawn to this type of film. I actually thought the slo-mo sequences and the artistry/style overall was very cool, similar to the first 300. But that's WAY too much gore, and in 3D, nonetheless. The movie did entertain me, I just wouldn't see it again on DVD.